Thanks in large part to the Internet, we live in an age of instant gratification. Want to buy a new dining set? Go online and have one shipped to your home with the click of a button. Wondering how to refinish your kitchen cabinets? Google it and you’ll instantly see dozens of how-to articles with best practices. And home construction is no exception. Homeowners and builders alike want homes to be completed faster than ever. Unfortunately, sometimes that results in a rush job that doesn’t give the concrete slab enough time to dry sufficiently. This leads to that signature musty smell that homeowners dread. It also causes issues when flooring is installed over the concrete, such as cupping, curling, cracking, trapped moisture and adhesive failure. Alternately, these issues can be caused by the switch to more sustainable adhesives and flooring types, which is becoming more popular. In a move to get rid of toxic chemicals, many flooring manufacturers have started replacing these chemicals with water-based ingredients. They’ve also started using recycled backing and flooring materials that don’t allow moisture through, which essentially traps any water trying to escape from the slab. Regardless of how these issues are arising, it’s clear that they’re becoming more common. Moisture mitigation is the process of minimizing the negative impacts of excess water from a concrete slab. And it's more important now than ever. Moisture mitigation is vital when installing tile over a concrete slab to prevent cracking. Before the concrete slab is even poured, the builder should decide how to handle the moisture mitigation. One way of doing so is to pour the slab and then test it to see if the water vapor level is low enough. If it is, the builder can move forward with the flooring installation. But in most cases, moisture mitigation is required. There are two types of tests to determine how much moisture is in the slab. The first is the calcium chloride test, which measures the volume of water vapor that escapes from the concrete slab over a period of time. This test needs to be in place for 60-72 hours in order to accurately measure the moisture emitted from the top 1/2 -3/4 inches of the concrete. The other test is the relative humidity (RH) test. This test involves drilling holes into the slab and placing sensors inside to measure the amount of moisture in the slab. “The test results are believed to be the best predictor of what the moisture condition will ultimately be at the slab surface after a floor covering or coating is applied and slab equilibrium is reached,” according to Inside Edge Commercial Interior Services. If you’ve already poured the concrete slab and then found out it needs moisture mitigation, there are topical applications that can solve the issue — but they don’t come cheap. 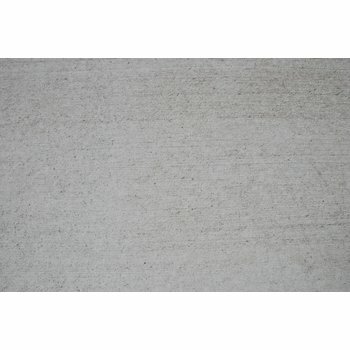 A PH blocker coating can be applied to the concrete for as much as $4 per square foot. 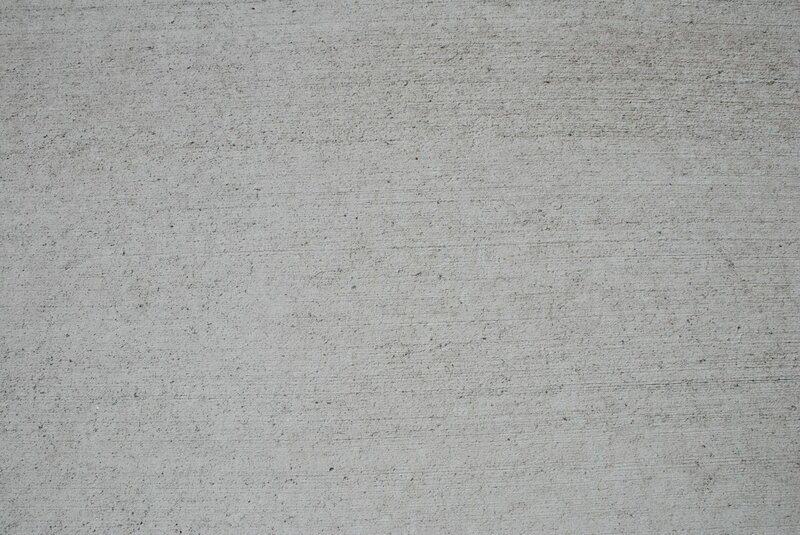 The coating works by preventing moisture from traveling upward through the concrete. The Prodeso Membrane offers vapor management benefits. Membranes and reactive penetrants are other solutions to help mitigate moisture emissions. Membranes, in particular, are gaining traction because of their ease of use, according to Inside Edge Commercial Interior Services. 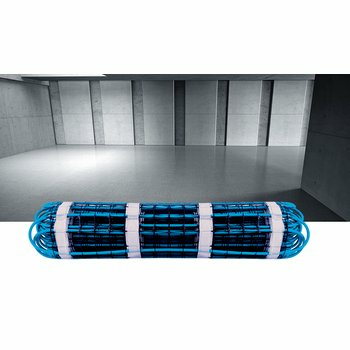 WarmlyYours Radiant Heating’s Prodeso Membrane, for instance, provides a framework for heating cable installation while also offering vapor management benefits. The membrane’s patented design allows air pockets to form between the subfloor and the membrane, creating a space for excess moisture to gather and create a vapor cycle. The vapor cycle balances the vapor content of the slab, thereby protecting the flooring above from potential damage. If you’re taking a proactive approach to moisture mitigation and you haven’t poured the slab yet, you can choose to use a different concrete mixture. Manufacturers have recently started to sell a concrete mix with an admixture that chemically alters the formula to eliminate moisture emissions through the slab. It’s still new, though, so further testing may need to be done. By keeping moisture mitigation in mind, builders can prevent flooring issues while keeping to their fast-moving construction timeline. Also WarmlyYours provides a tape for seams and corners to make your Prodeso job completely waterproof.